Hi! I am Teacher Cate. I always believe that giving is receiving so I would like to share my knowledge. Remember that 'English Language' is something that cannot be stolen from you. Never give up and let's work hard together to achieve your goals. 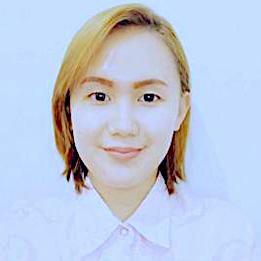 Teacher Cate graduated AB Mass Communication in Far Eastern University. She worked as a customer service representative in two american companies and worked as an online English teacher for three years, She loves music. Singing and playing musical instruments are her hobbies. She is a positive person with a wonderful dream. Teacher Cate is very nice and kind and teaches me more effective in how I should learn English. Thank you so much again.